Gin Blanco really can't catch a break. After the heartache from recent events, she's more than earned a night off. What was supposed to be an ordinary gala quickly turns bloody when thieves take the guests hostage. Unfortunately for them, Gin isn't one to stand idly by and let someone put her friends in danger. These thieves are quickly going to learn just how deadly her knives can be. I love Gin a little more with each new installment in this series. She's just been through so much and grown an incredible amount since the first book. She's learned to accept others and really let them in her heart, which is a really difficult line to walk as an assassin. When Donovan played with her like he did, it really did a number on her, and made her question her worthiness. Yet, even from that she bounced back, and realized that she is who she is, and nothing will change that. She fully owns up it, and I couldn't be more proud of her. I mean these people who look down their nose at her, sure don't seem to have a problem accepting her help when they are in a dire situation, so I say forget them! But what impresses me even more than that is her realization in DEADLY STING. There's something said in DEADLY STING that has really stuck with me. "I'd rather have somebody alive and hating me than dead and buried." When push comes to shove, Gin is going to do what she thinks is right in order to keep the ones she loves alive, no matter what it costs her personally. Someone has to make those hard decisions, and I think her family is very lucky that they have her around to do what needs to be done. 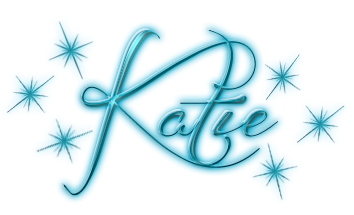 Even though I love urban fantasies, I still need to have at least a little romance in those books. I'm seriously a romance junkie at heart. (Not so much the crazy sappy instalove stuff though.) So, heart break deals a seriously hard blow to me, to the point where too much of it and I can get turned away from even a favorite series. When the mess with Owen went down in the previous installment, I was just as utterly devastated as Gin was. So much so that I actually was almost dreading reading DEADLY STING. Don't get me wrong, I understand that Gin killing Salina couldn't have been easy for Owen, but it really was his own fault for being so blind about her in the first place. His reaction, in my opinion, only lessened everything he had ever said to Gin in terms of love. I mean at the first sign of a rocky road, he bails ship? I would have expected that from Donovan not from Owen. So, while I won't get into specifics about how things play out in the romance department in this book in order to avoid spoilers, I will say that things do seem to be a bit more hopeful by the end. Even so, I still think Mr.Owen Grayson still has a whole lot of graveling to do before all can be forgiven. And Gin is finally at the point in her life where she won't accept anything less than she needs, and I couldn't be more proud of her for it. I have to say that I am still incredibly impressed with the way this series is playing out. I mean honestly, after that insane showdown with Mab, I wasn't sure how any new threat wouldn't just pale in comparison. Yet somehow Jennifer Estep keeps coming back with new installments that are anything but old hat. It doesn't matter that her new foes aren't up to Mab's elemental power level, they prove to be every bit as much of a threat in their own way. There's no sign of this series going stale, and I couldn't be happier. Fans of the series won't want to miss this latest installment as it provided a solid block of entertainment that left me desperate for more in the end. 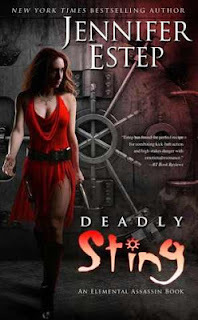 Major kudos to Jennifer Estep for another fabulous installment in the Elemental Assassin series!